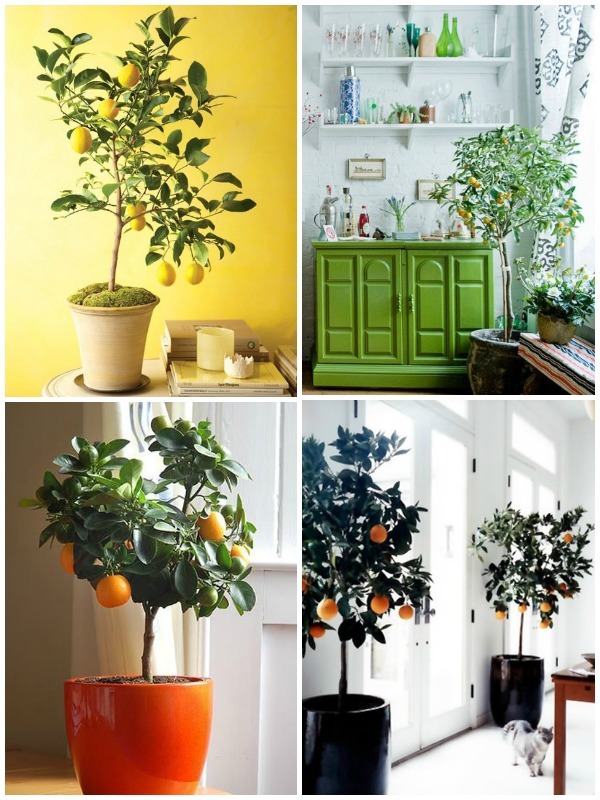 I am in love with these beautiful indoor citrus trees. Can you imagine how wonderful they would make your home smell? Not to mention the delicious fruit they would provide. I have read that they are very easy to grow. If only I had a bigger home and more natural light I would be purchasing a couple dwarf citrus plants from Four Winds Growers. this is amazing it looks so fresh and beautiful! I'm in love with that awesome green dresser/cabinet...so pretty! Ohh I agree, they would be wonderful in a home. Do you know if they can grow in any type of conditions? They look pretty and bare fruit! It's a win win! Love this idea. If only I was able to keep plants alive (seriously, I kill cacti), I would definitely want a citrus tree. They're so pretty. Love those indoor citrus trees! LOVE these photos. I'm swooning over that green paint color! citrus trees are just adorable but needs mediteranean climate. What adorable little citrus trees. I wish I had room for one in my studio SF apartment! yes, these are very cute in the home! although we have many fruit trees in our yard, it would be fun to pick and eat a fruit right in your kitchen!